Our project provided social & emotional support to deaf children, young people & their families. Along with St Roch’s after school club, we provided a wide variety of fun & stimulating activities for deaf young people to socialise & have fun while their carers enjoyed a break from their caring role. Our staff and volunteers including those from the department of Deaf Education at St Roch's have successfully provided 30 outings and activities for the Saturday Club, 30 outings and activities for the Youth Group, 16 outings and activities for our younger children and St Roch's provided an after school club for deaf pupils with additional needs to participate in a range of social activities. Activities have included circus skills workshops, cinema trips, sleepover at the Sea-Life centre, combat archery, drama workshops and photography workshops. During these events, carers enjoyed a much needed break. This time was used for various purposes including spending time with their other children or simply enjoying some personal time. 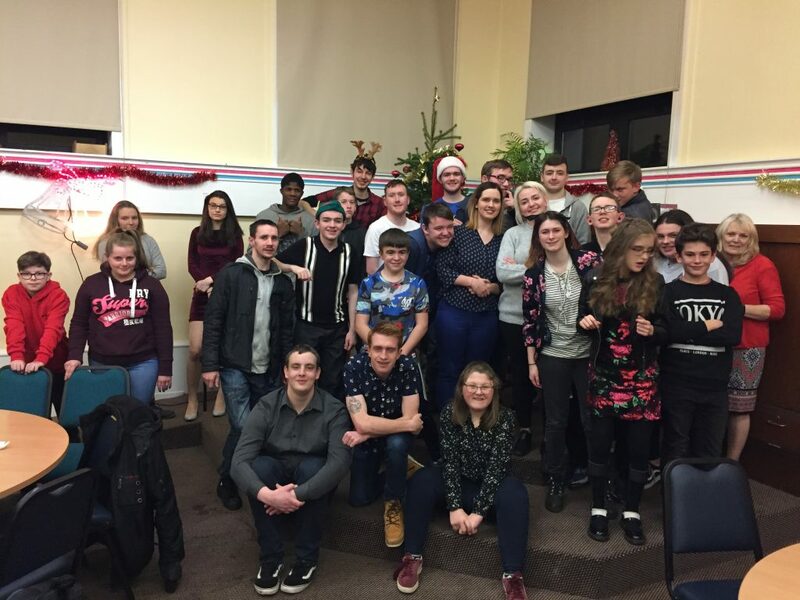 Deaf children, young people and their families from all over the West of Scotland participated in these events. We reached them through our membership, audiology departments, social work departments and schools with a Hearing Impaired Unit. We now have an established group of sessional staff and volunteers who work well together. Along with some of our deaf young people, they had the opportunity to re-train or gain their first certificate in Emergency First Aid and also complete training regarding Child Protection. Our project benefits deaf children and young people, many of whom have additional support needs. In consultation with our young people, we plan a variety of sport and leisure activities which aim to build their self-confidence, physical and emotional well-being and to give them the opportunity to have a social life with people outside their home who understand their needs. They are given an opportunity to make friends and create a support network built on understanding and shared experience and to empower each other to thrive in a hearing world. Overall, our project was a great success. We saw, first-hand, the confidence, well-being and happiness of our deaf children and their families improve significantly throughout this project. The feedback from families has proven that our events and activities are vital for all members of the family. One thing we have learned from delivering this project is the importance of working closely with other organisations who help deaf families as this means we can reach out to more families and offer our support. This way even more carers and deaf children can benefit from our activities and events. We have also learned the importance of being prepared to face all challenges that we may come up against. At the after school club, the girls had asked if they could possibly have a girl's night. We thought it was a good idea and also a good opportunity to remind some pupils about personal presentation issues. Originally the plan was to invite a beautician in but unfortunately this did not work out. Disappointment was avoided when we realised one pupil could do nails, one was good at makeup and another was good at hairdressing. The evening was a fantastic success as it allowed pupils to show off their skills as well as having an opportunity to socialise with their friends. The remaining resources can now be used again for future Girl's Nights and lifestyle classes. What was initially perceived to be a problem, turned out to be a blessing as it allowed the children to step up, take ownership of their club and make it their own success. This is something we are very keen to repeat. Another thing we learned was the need to seek alternative forms of funding to ensure we can sustain the services, activities and events we offer. The advice and guidance of Short Breaks Fund staff encouraged the board and staff to re-examine the structure of the charity with a view to building capacity for the future. In the last year, we took on a new resource member who has been an asset to the charity and enables us to plan and build towards the future. We have submitted applications to other sources. Our children/young people will have formed friendships as a result of taking part in more accessible activities which are fun, stimulating and rewarding. We have provided a variety of fun and stimulating events which have given our deaf children and young people many opportunities to socialise, make new friends and build a supportive peer group. These events have proved essential in developing their confidence and social skills. Being deaf is a very isolating experience but our events have given them the opportunity to build on and improve their self-esteem, their confidence in social situations and to feel empowered. “Being involved with the society has been invaluable to us, providing help, support & friendship, knowing they are there for us anytime with the understanding from experience about problems we all come up against. My son attends the youth group where he has made great friends who he knows will always be there to help him out. He so looks forward to all the activities with the group where he feels safe and comfortable (activities he would not otherwise get the chance to experience). It is the only chance he gets to spend time and enjoy himself with other deaf friends this helps him with his communication and social skills. West Scotland Deaf Children Society has been a lifeline for him and us as a family. He now helps out with the younger children where we can see his skills at helping and being kind, giving support and listening to them as they need someone to talk to. This has built up his confidence but mostly made him and us proud of what he is doing there.” Carer of a deaf young man. Carers will have improved well-being and reduced stress. Carers were given many opportunities to have a break from their caring role whilst their children were cared for in a supportive environment with people who completely understand their needs and with whom carers are happy and comfortable leaving their children with. This alone reduces the stress they are under, not having to worry about their child. Carers visibly appear less stressed and happier and they repeatedly tell us how much they enjoy the break our activities afford them. “I use the time to relax and read books, catch up with other people over coffee. Very relaxing and I look forward to interacting with other parents who have similar issues and advice. The staff are very helpful and supportive. It’s easy to ask questions and advice on the behavioural issues and how it can be sorted.” Carer of a deaf child with multiple support needs. Improved mental well-being, reduced stress and the availability of a support network. Carers are visibly happier and more relaxed. They enjoy time to themselves and use that time in a variety of ways. Some catch up with other family and friends, some go shopping and some use it for ‘me’ time. “The activities for my child are very important to me. Gives me ‘me’ time and I can engage with other mums for support, advice and consolation. It’s the only time, other than a few hours that I work, that I get a break safe in the knowledge that he’s being cared for by people who understand his needs. This is my only break because when my son is in school, I work so the club is my only break as he has other clubs but I go with him. I can have a break and recharge my batteries because the other clubs are not deaf aware and I’m not able to leave him alone but this club understand and, as parents of deaf children with similar problems, are easy to talk to. Ifeel supported and know I can count on them and the other parents to help.” Carer of a deaf young man. Carers will again be less stressed and happier. They will feel welcomed into a supporting community. All Trustees, staff and volunteers are themselves parents of, closely related to and/or are themselves deaf. Everyone is welcomed into a very understanding and supportive community. “We had a great day. Feels just like being with family.” Carer of a deaf young man. “West Scotland Deaf Children Society has given my daughter and all my family a support network that is unrivalled, un-judgmental and unending. From diagnosis onwards, the staff and volunteers have helped and advised whenever it was asked of them. We have formed lifelong friendships with other families and children directly through West Scotland Deaf Children Society support, events and activities.” Carer of a deaf young girl. Our use of mainstream activities will have improved deaf awareness in the establishments we have visited throughout the year. At all activities and outings, we make a conscious effort to ensure other companies providing activities and staff at venues/trip locations know good practice for communicating with deaf children and young people. On our trip to the Sky Academy, even though interpreters were present, the staff there made a real effort with a few learning how to sign their names and other basic signs to help make the activity accessible. Closer relationships will be formed between WSDCS and service providers, third sector colleagues and carers. In the past year, we have been working very closely with the British Deaf Association, Deaf Connections, Deaf Action and NDCS to support our deaf children and their families. We have formed a group with these organisations that meets every few months to discuss what each organisation has planned/coming up so that this info can be passed onto families and ensure everyone knows what we do and what we have to offer. 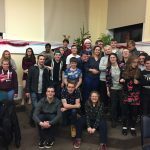 Our Youth Group are very fond of Deaf Connections and like to use their venue for their club. The new team there have become very involved in supporting our work and helping to create a fun programme of activities. Working with the British Deaf Association (BDA) has been very beneficial as it has allowed our families to benefit from their Mentoring Programme in addition to the emotional and social support we provide. One of our young deaf volunteers at the Saturday Club, who himself attended the club when he was younger, has benefited greatly from the close relationship we have with the British Deaf Association. This young man used to be very shy and isolated but volunteering at the club has greatly boosted his confidence in social situations and self-esteem. In addition, he also has a mentor provided through the BDA’s Mentoring Programme who spends time socialising with him and helping him acquire new life skills such as cooking. Again, this has improved his self-esteem, given him life skills and also given him the confidence to participate in social interactions and activities. His carer feels WSDCS and the BDA have been a fantastic help and source of support in helping him to grow as a person and transition into adulthood. His parents report that “‘his confidence and independence have grown.” Deaf young man who is autistic and also has other additional needs, who helps out at the clubs and has a BDA Mentor who is himself also one of our deaf sessional staff & volunteers.